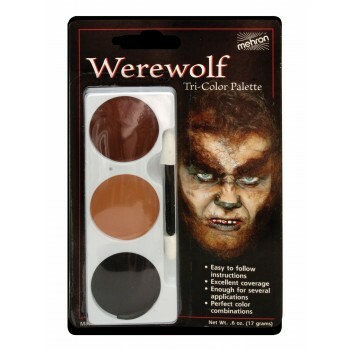 Each of Mehron's Tri-Color Palettes contains three colors of our professional cream makeup to create the character pictured on the blister card. Each card comes with detailed instructions on how to apply the makeup and also lists items that will complement the character you are creating. 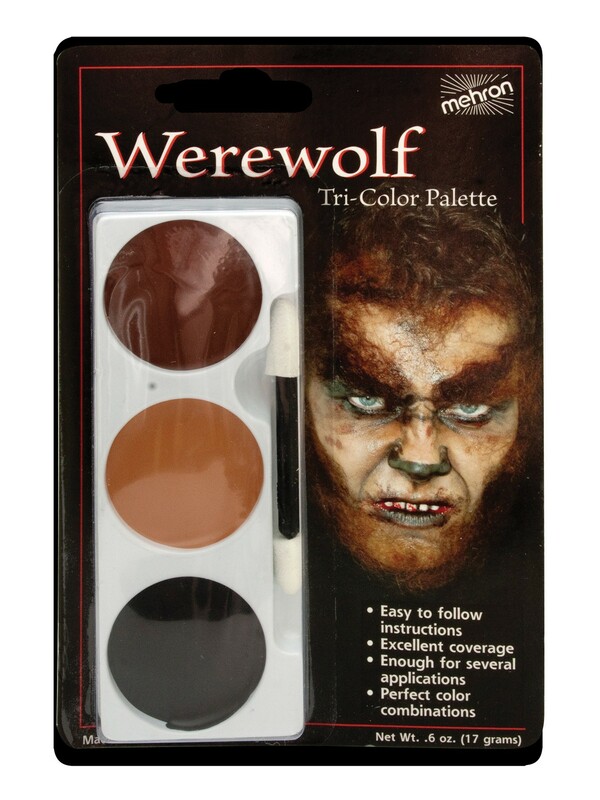 As with any professional cream makeup, Mehron’s Tri-Color Palette makeup should be "set" with Colorset Powder. Remove with Makeup Remover followed by soap and water. 0.7oz (20g) palette with dual applicator foam brush. Mehron product code #403-WW.